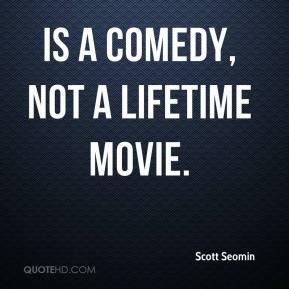 It is easily the best of the last three films, ... 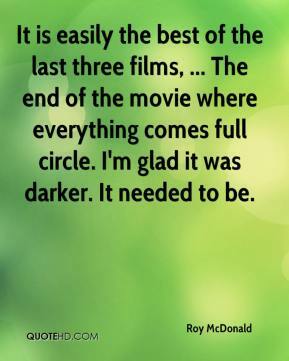 The end of the movie where everything comes full circle. I'm glad it was darker. It needed to be. 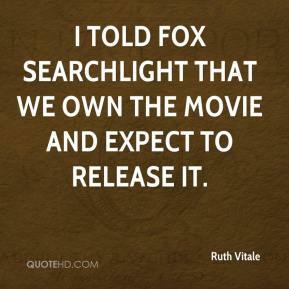 I told Fox Searchlight that we own the movie and expect to release it. 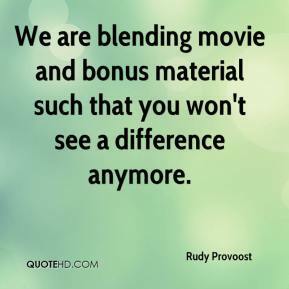 We are blending movie and bonus material such that you won't see a difference anymore. 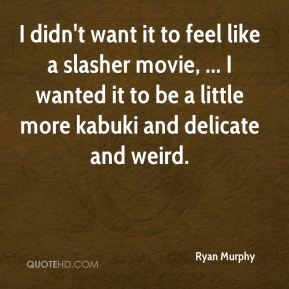 I didn't want it to feel like a slasher movie, ... I wanted it to be a little more kabuki and delicate and weird. 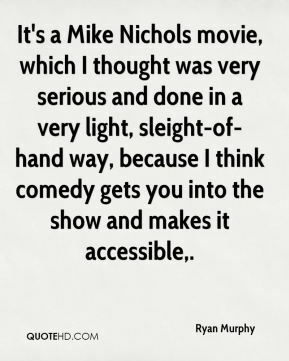 It's a Mike Nichols movie, which I thought was very serious and done in a very light, sleight-of-hand way, because I think comedy gets you into the show and makes it accessible. 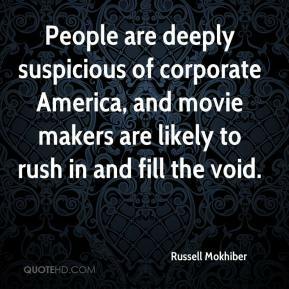 People are deeply suspicious of corporate America, and movie makers are likely to rush in and fill the void. You have to have a secret... There is a hidden movie in all the best films. 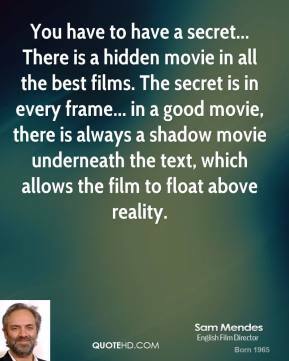 The secret is in every frame... in a good movie, there is always a shadow movie underneath the text, which allows the film to float above reality. It's very hard doing a period movie. 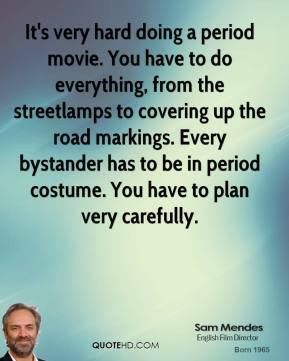 You have to do everything, from the streetlamps to covering up the road markings. Every bystander has to be in period costume. You have to plan very carefully. 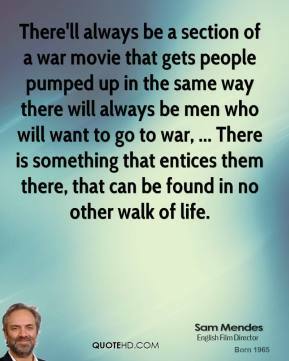 There'll always be a section of a war movie that gets people pumped up in the same way there will always be men who will want to go to war, ... There is something that entices them there, that can be found in no other walk of life. 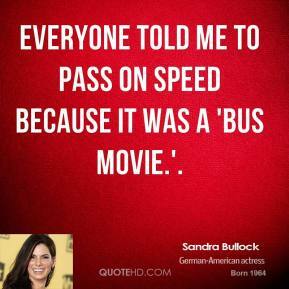 Everyone told me to pass on Speed because it was a 'bus movie.'. The movie is about one ruthless individual. 'The Godfather' is more like a family epic. It has this subtext of [family] honor. With 'Scarface,' there's this individualism thing. The film is about cold-blooded ambition. 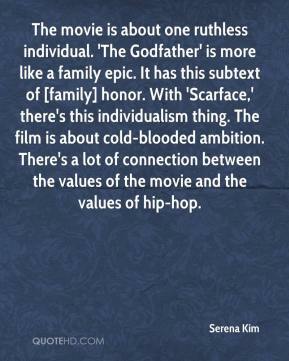 There's a lot of connection between the values of the movie and the values of hip-hop. I talked with Tom Hanks. I saw that movie 'Turner and Hooch' at least 50 times. It took all my guts to go up to him. I went up to him, I was like, 'Can I have a picture?' We talked acting; he wanted to know what I was doing. We talked a little tennis. 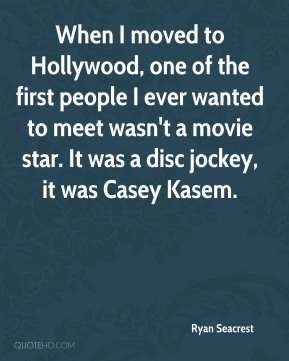 I mean, he knew all about myself and my sister. 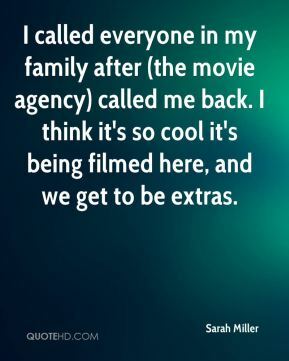 I called everyone in my family after (the movie agency) called me back. I think it's so cool it's being filmed here, and we get to be extras. Don't worry. 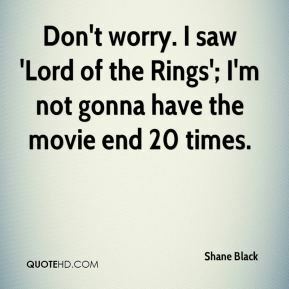 I saw 'Lord of the Rings'; I'm not gonna have the movie end 20 times. 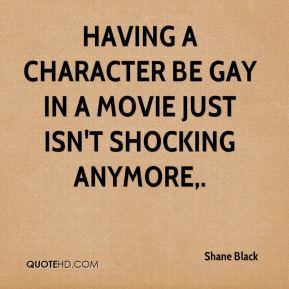 Having a character be gay in a movie just isn't shocking anymore. 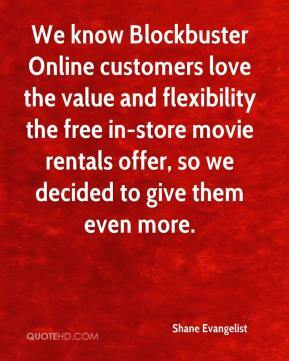 We know Blockbuster Online customers love the value and flexibility the free in-store movie rentals offer, so we decided to give them even more. Our goal at BLOCKBUSTER Online is to see that our subscribers get their highest ranked movie selections as often as possible. 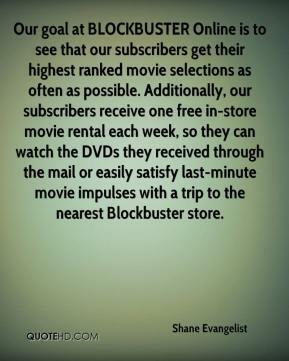 Additionally, our subscribers receive one free in-store movie rental each week, so they can watch the DVDs they received through the mail or easily satisfy last-minute movie impulses with a trip to the nearest Blockbuster store. 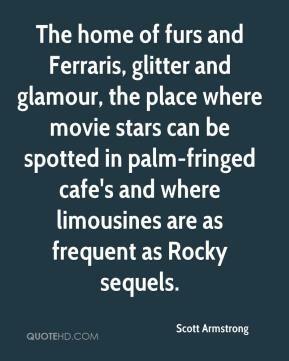 The home of furs and Ferraris, glitter and glamour, the place where movie stars can be spotted in palm-fringed cafe's and where limousines are as frequent as Rocky sequels. 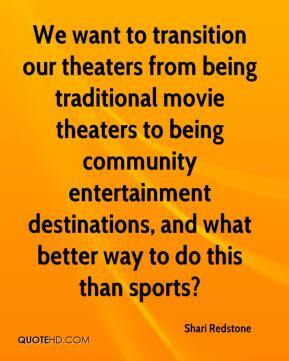 We want to transition our theaters from being traditional movie theaters to being community entertainment destinations, and what better way to do this than sports? 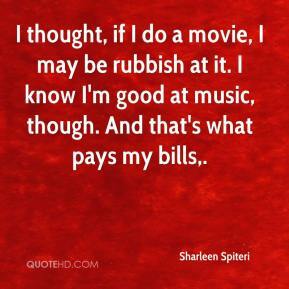 I thought, if I do a movie, I may be rubbish at it. I know I'm good at music, though. And that's what pays my bills. 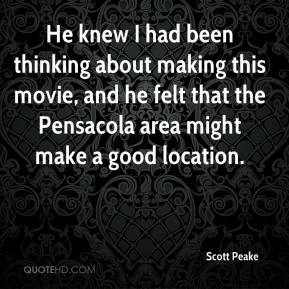 He knew I had been thinking about making this movie, and he felt that the Pensacola area might make a good location. I don't know if anyone even remembers that I played football. 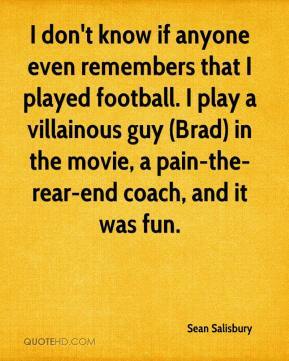 I play a villainous guy (Brad) in the movie, a pain-the-rear-end coach, and it was fun.